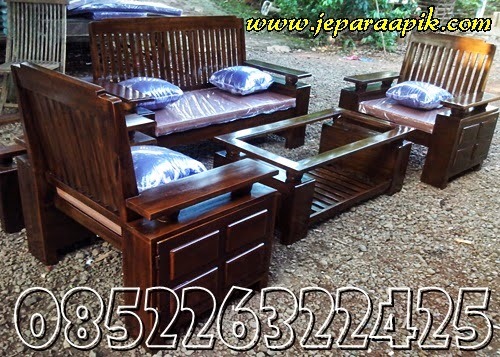 Home Articles English Furniture Mebel Furniture Paint the Wooden Furnishings is Very Easy!!! Paint the Wooden Furnishings is Very Easy!!! Coloring wood furniture in your home with a variety of attractive colors can give different shades in a room where he is located. Design expert Gia Russo from Real Simple to explain simply coloring the wood furniture. Unfortunately, many people just looked at staining wood furniture is a complicated process and it takes a lot of time. Russo assured the public painted wood furniture is very fun. You just need a clean cloth, sandpaper or sanding sponge, paint primer, latex, paint roller and roller frame (their vessels), brush, and brush foam. Of course, you also need to update their display furniture. The first thing you should do before starting to Polish the paint primer on the surface of the furniture is ensured, need it or not the furniture sanding. There are two ways to find out these things. First, check the presence of pits on the surface of furniture. Second, check also if there are bumps on the surface of furniture. If you find it, then use sandpaper sponge to smooth the surface of the furniture. The sandpaper with a short back and forth movement of the top-down. Then, check the surface of your furniture by using your hands. When you've felt the smooth surface, remove dust from the surface of the furniture. Use a clean cloth or vacuum cleaner. This step is so important. You must make sure all the ashes were lost before the particles start killing paint primer. After that, start the process of sweeping the paint primer. If the furniture you want to warnai small-sized, then just use a spray primer. This type of more concise primer than a conventional primer. However, you can also use a brush. Make sure you let the paint primer to dry. If you want to paint furniture are large and have a horizontal surface, use a roller to paint the killing to the surface. This way is faster and easier than using a brush. Make sure you coat the furniture as much as two layers. Wait until the first coat is dry, about two hours after the killing, the new second-tier cat. During the wait for the paint to dry, make sure the brush you're using isn't dry. The trick, put the brush in plastic bag, then put in the fridge to make sure stay moist.